Trying to stand out from the other 500 therapists in your area can be a difficult (and frustrating) process. With so many therapists and private practices around, how is that some get lots of clients and others, well, don’t? 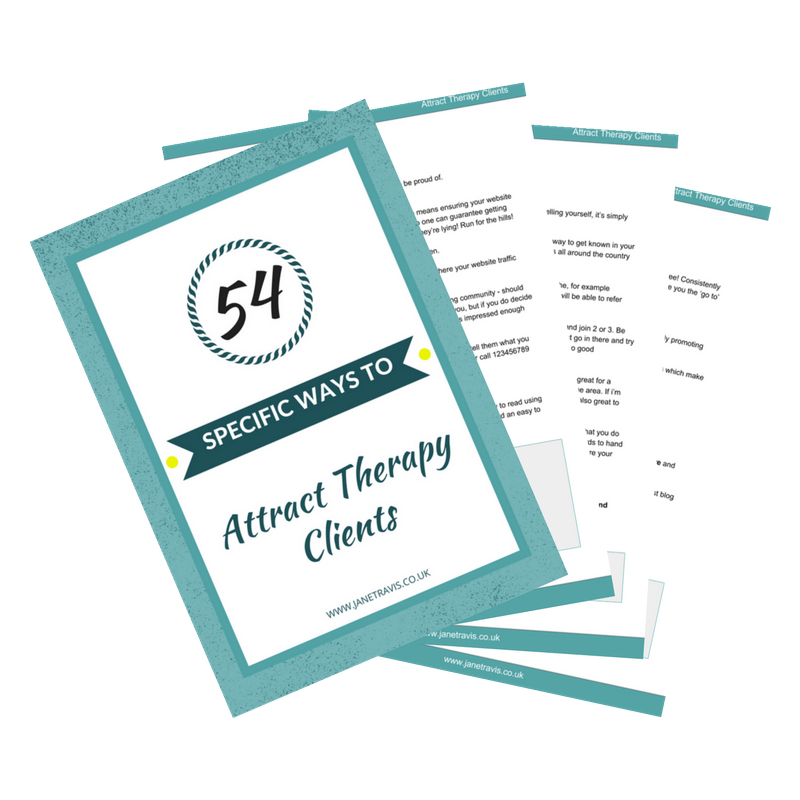 In this guide, I’m sharing 54 specific ways that you can attract the right clients to your practice and help your website be seen by more people. Let's elevate your business and stand out amongst the rest! Wow I'm impressed and glad I "bumped" into you online!